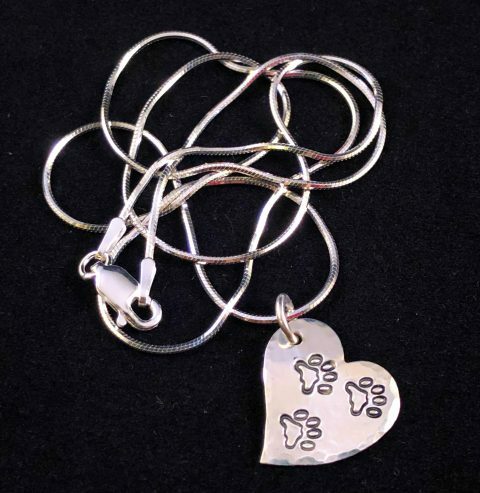 Order your tiny Tripawd paw print charm with an 18″ sterling silver necklace. This simple, elegant paw print heart silver charm and necklace makes a perfect gift for you, a loved anyone with a three legged dog or cat. Handmade on a small 1/2″ sterling silver heart stamped with a three paw print impression. It includes an attached sterling silver snake chain necklace measuring 18″ long. Ask us about longer chain options. 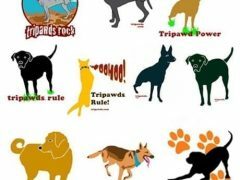 All items are handcrafted by Tripawds co-founder Rene Agredano. Every metal stamped artwork piece is unique, no two are alike. Your sterling silver charm is wrapped in a free gift bag and shipped to U.S. customers via U.S. postal service first class mail. Shipping Included! FYI, tiny imperfections may exist but keep in mind that’s what gives it the one-of-a-kind, handmade look. 🙂 Tripawds jewelry includes a 100% Satisfaction Guarantee against manufacturing defects. We believe this will last you a lifetime but if not, contact us and we’ll see how we can make things right. 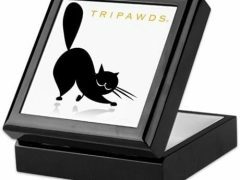 All our jewelry designs, the word TRIPAWD/s and the three-paw logo and the phrase “It’s Better to Hop on Three Than Limp on Four” are registered copyrighted trademarks of Agreda Communications, creators of tripawds.com. Be the first to review “Teeny Tiny Tripawd Heart Silver Charm with Necklace” Click here to cancel reply.